Light steel structure is a young and vitality of steel structure system, has been widely used in general industrial and agricultural, commercial and service buildings, such as office buildings, villas, warehouses, stadiums, entertainment, tourism and construction of low, multi-layer Residential construction and other fields. Light steel structure building is also a vague term, generally can have two kinds of understanding. One is the current "Design Code for Steel Structure" (GBJ 17-88) Chapter XI "light steel bar, small angle steel structure" refers to the use of round steel and less than L45 * 4 and L56 * 36 * 4 The light steel structure made of angle steel is mainly used in small structures which are not suitable for the manufacture of reinforced concrete structure when the steel is lacking. Now it is basically not used widely, so the revision of the steel structure design code has basically been tended to be removed. The other is the single-story solid belly portal frame structure with light-weight roof and light-weight outer wall (which can also be conditionally adopted with masonry outer wall) as stipulated in Technical Specification for Steel Structure of Portal Frame Light-weight Housing, Light here mainly refers to the use of lightweight materials. Since the former has been quickly canceled, so the meaning of light steel mainly refers to the latter. With the continuous development of the modernization process, the steel structure projects have also been rapidly developed. More and more modern buildings have been built up. There are some reference values: such as the cost per square meter, the maximum component weight, the maximum span, structure, eaves higher, these in determining whether the plant is heavy steel or light steel can provide empirical data. National standards and technical documents are not heavy steel one said that many buildings are light, heavy steel has. To distinguish the light steel structure of houses, it may be more appropriate to call the general steel structure as "general steel". 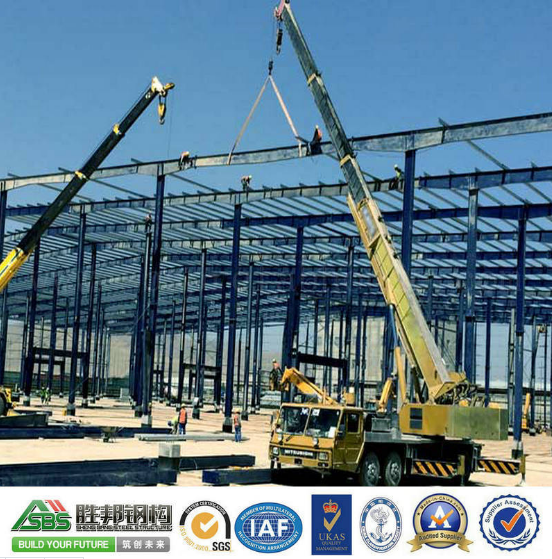 Because of the wide range of ordinary steel structures that can encompass a wide range of steel structures, regardless of load size or even many aspects of lightweight steel structures, the technical specifications for light steel building structures specify only a few more specific Content, and the scope is limited to single-storey portal frame. This shows that the light steel and heavy steel points are not the severity of the structure itself, but in the light of the weight of the material to withstand, and in the structural design concept is the same.